I read once that everyone has a spot in there house that if that “zone” is cleaned then you feel content, even if the rest of the house isn’t. Mine is the kitchen, specifically my kitchen counters, if my kitchen counters are clean it doesn’t matter if the entire living room is a disaster I won’t have anxiety. Its kind of a funny concept but I think we all have something that if just that one little area is clean we can breathe easier. 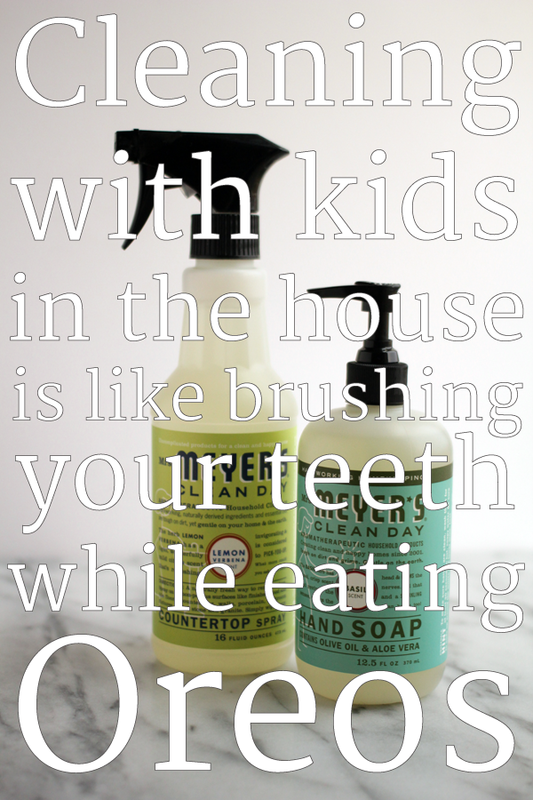 I spent a lot of time in my kitchen between feeding kids and making blog food, cooking dinner and feeding kids some more and so I like it to be clean and I like to have good products that smell good. 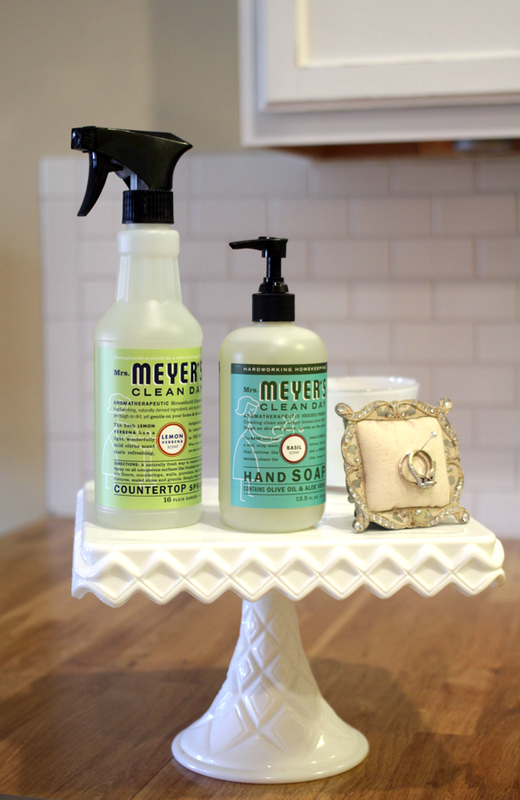 I have wood countertops so I have to be careful when using cleaners that they are not too harsh. 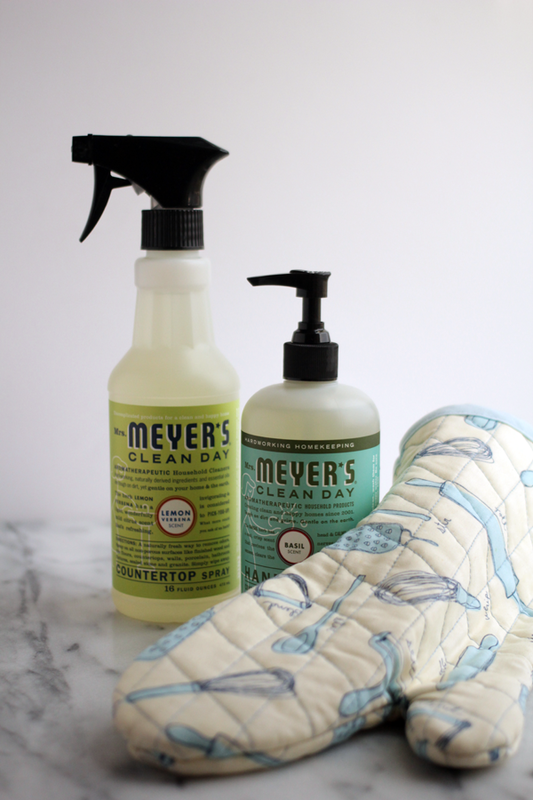 I was asked to use some products from the Mrs. Meyer’s Clean Day® line and tell you about them, honestly it wasn’t a stretch at all because I’ve been a fan of these gorgeously packaged, lovely smelling cleaning products for a few years now. Inspired by their slogan “Hardworking Homekeeping” I have a tutorial on how to make a potholder for you because I’m sure yours are looking a lot like mine- needing to be replaced! 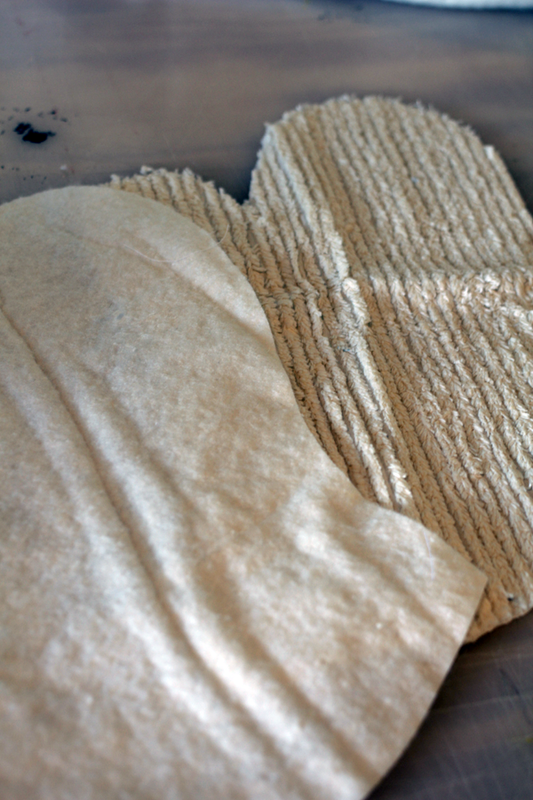 As you all know I love to cook and bake and that’s really where my “homemaking” skills shine, so today I’ve got a fun tutorial for you on how to make your own potholder. 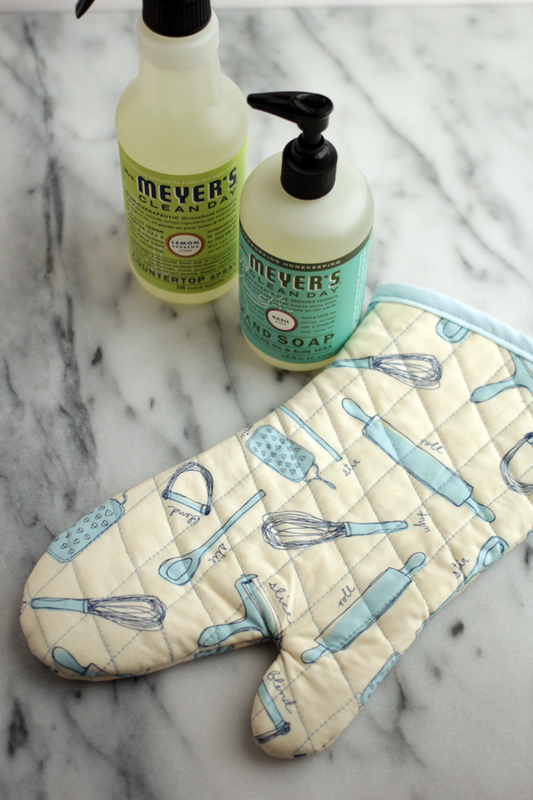 This would be a great gift for Christmas wrapped up with some of those fun Mrs. Meyer’s Clean Day® products! The first step is to cut out your fabric. 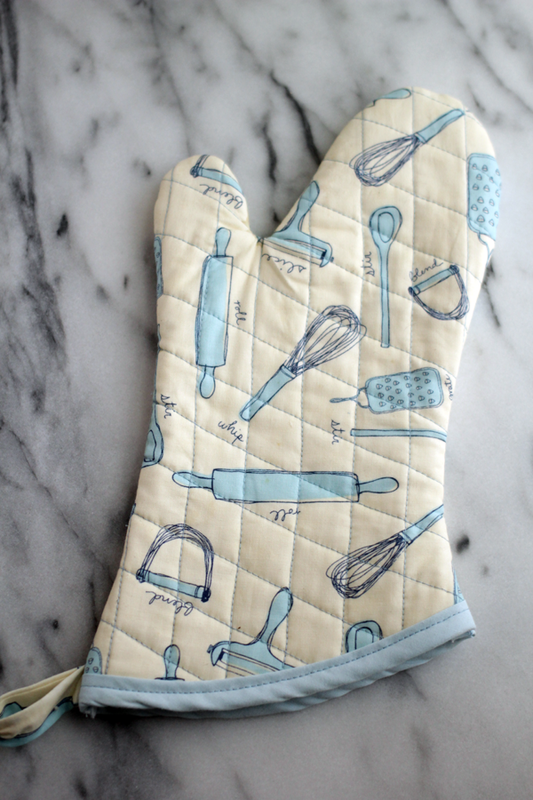 I just used a pot holder I already had, traced around it on a sheet of paper and then using a ruler added 1/2″ for seam allowance around the outside. Then cut 2 of each of your fabrics. 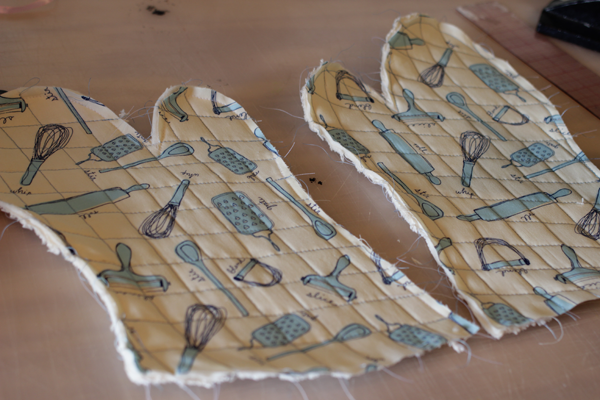 I then pinned the three layers together two times, one for the top and one for the back and quilted them. 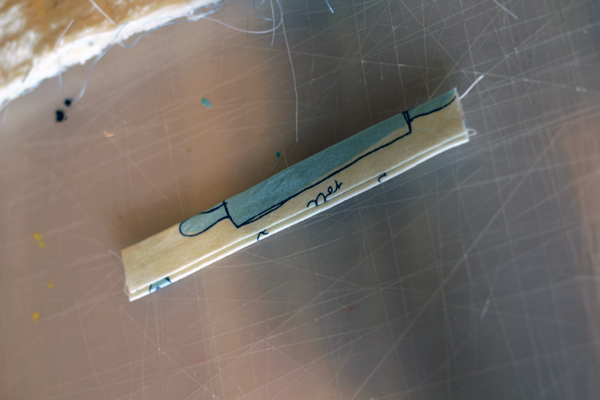 I’m not going to lie I am not a “quilter” so I’m sure there is a tool to help you quilt with your standard machine but I don’t know about it so what I did was taking a ruler and a pencil I lightly drew the quilting lines 1″ apart and then sewed on top of the pencil line. It totally worked for me! 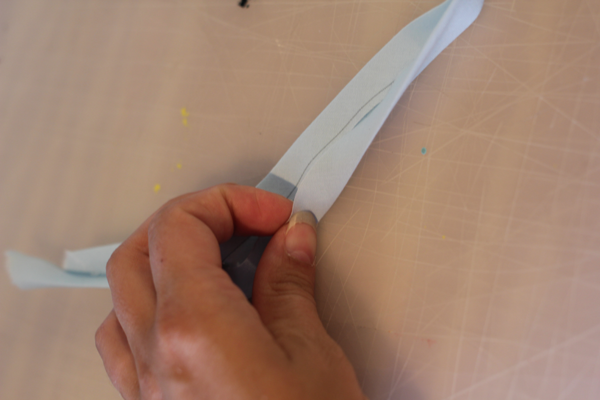 The next step is to make your bias tape, if you are making it. 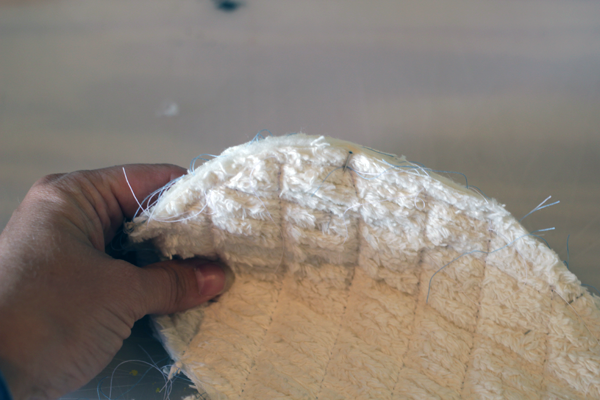 Cut a 2″ strip of fabric that is diagonal across the width of the fabric, thats what we call the “bias” so it has stretch to it even though its a woven fabric. Then fold it in half and then fold the two ends into the center so you have a nice finished edge to put the bottom of the pot holder into. 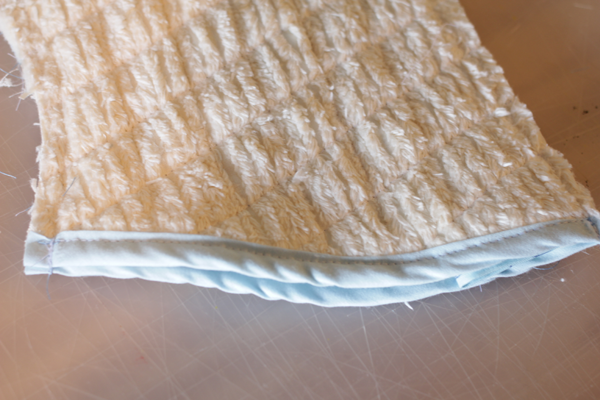 Sew the bias tape onto the bottom of your two pieces, this will give a finished edge to the pot holder. 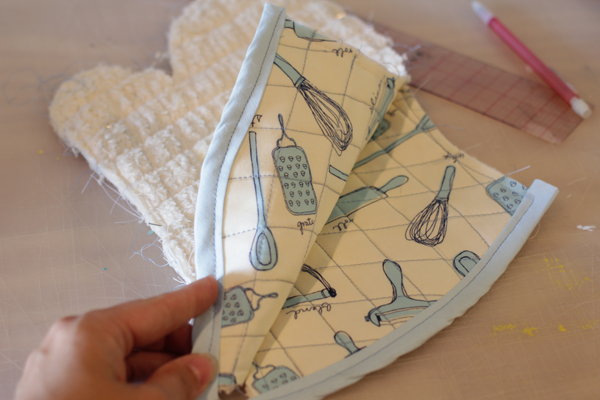 If you want to hang your pot holder you’ll want to sew a loop of fabric into the side seam. For mine i cut a 4″ x 2.5″ piece of fabric, folded it over lengthwise with right sides together and sewed it up at 1/4″ seam allowance. After sewing flip it right side out and then iron it flat. 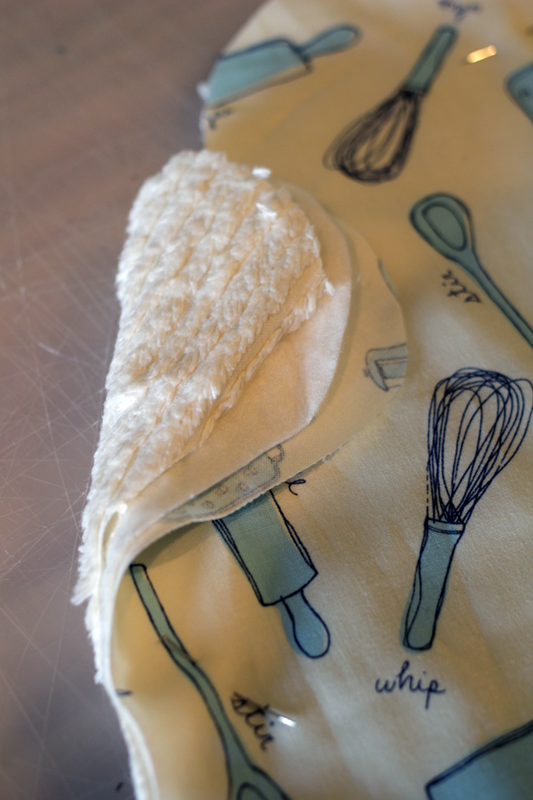 You’ll want to fold it over so it makes a loop and then pin it between the layers of the pot holder so it will be sewn nicely into the side seam. 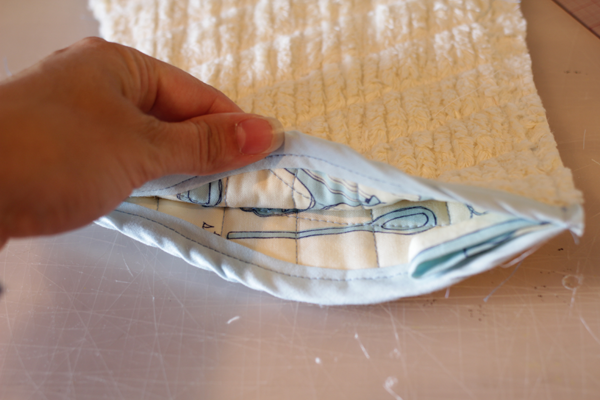 Pin both quilted layers together and sew all the way around the pot holder. 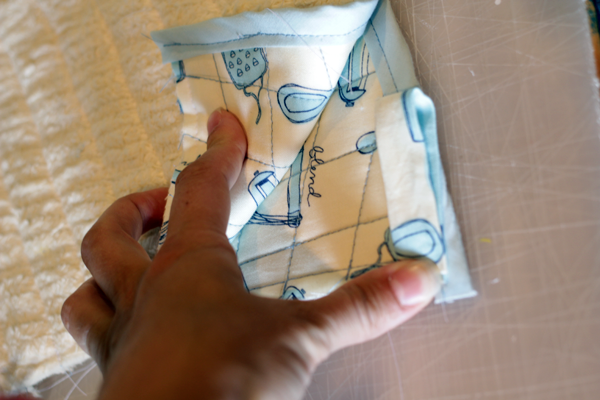 After sewing you will want to trim around the finger indention (between the thumb spot and the rest of the hand spot, cut into it almost to the stitching. This will ease up some of the tension in that point when you turn it right side out. Flip it right side out, push all the finger spots out from the inside, run an iron over it and you’re done! Are your potholders looking a little less than ideal? 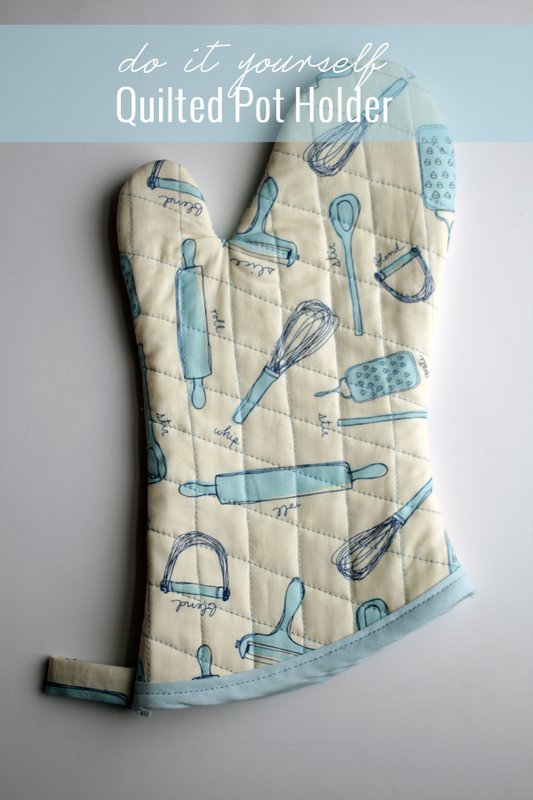 This project just takes a little bit of time and you can match your fabric to your kitchen. So fun! I’m thinking about whipping up several of these for some easy Christmas gifts this year.